Carney’s a popular restaurant that’s a repurposed train car. This place is anything but a train wreck, as its food is widely admired by locals and tourists alike. Ta-Ke Sushi is another restaurant that nobody can resist. With a cozy interior and mouth watering food, it’s no secret that this place is one of LA’s best. If nearby, stop by The Comedy Store and see an improv show. (It’s way cooler than it sounds). we’re pretty sure you’re not looking for bars to take the family to. Luckily, everything that’s awesome about LA doesn’t stop at Sunset. To catch the REAL sunset, look no further than the Griffith Observatory! A panoramic view of the entire coast is more than mystifying, and the family will agree that it never gets old. One of the most adventure-filled things that LA has to offer to families is the Universal Studio Tour. It’s a great learning experience, and has plenty of exciting moments containing action-packed scenes for everyone to enjoy. Families, if you haven’t noticed already, plenty of these awesome attractions are things that many locals have been familiar with, and have visited on several occasions. Plus, the crowds there are incredibly congested with loads of tourists. If you’re a local and really want the family to experience something magical without the intervention of others, you’ll have to bring the entertainment to you. Luckily, you won’t have to do it on your own, since we have some cool ways to bring the amazement of LA to you! The City of Angels… A wonderful city with an undying amount of excitement and surprise. One never knows what it has in store. Los Angeles is the most populated city in America, aside from New York City. But where New York City is all suits and business, Los Angeles is a trove of awesome activities that no city can replicate! Some days, a convoy of food trucks can be in front of the office. Another day, there could be a full-sized fair set up in the middle of the local park. With so many things to do in the entertainment capital, many Angelenos are handed countless awesome activities with which they don’t know what to do! Sometimes they’re not even aware of them. Therefore, to help with the confusion, here are some cool things to do in Los Angeles. Have your kids battle it out on a giant Nerf War Arena. The chaotic behavior of children is sometimes cute, but most of the time, one can tell that without a proper form of releasing energy, kids need other ways to vent their vigor. That’s where Nerf Guns come in. Even grandma can say she’s heard of them, and that’s because a large majority of kids love them. To interlock these two key methods of releasing energy, the Nerf War Party has always been the tried and true way to make kids thrilled. 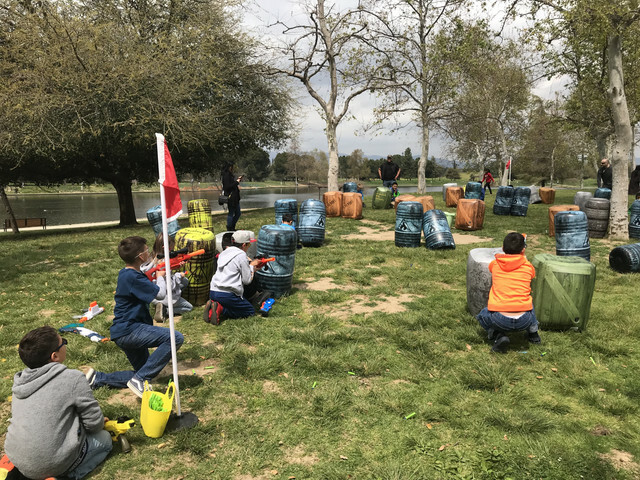 A Los Angeles Nerf Gun Party doesn’t have to be on the sandy beaches of Venice surrounded by on-looking tourists, it can be safely played in a local park, or even in your backyard. 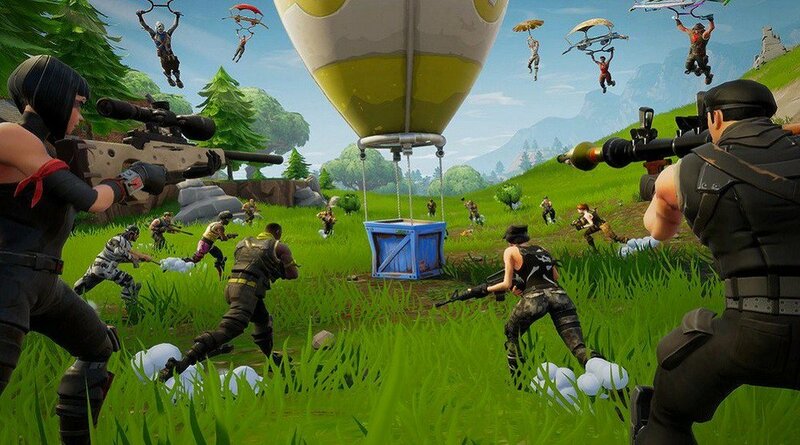 With the onset of Fortnite invading almost every household, it's no surprise that Fortnite Parties are in demand especially in Los Angeles where every kid gets what they want. And if you're one who's been shopping around for a Fortnite Birthday Party, look no more because we have created a real life Fortnite experience that's sure to exceed expectations. And the best part is, we bring the party to you. Just make sure that your party is planned to take place at a local park because we'll have a ton of equipment including a large hamster zorb wheel that'll be used as a rideable tank. As much fun as playing Fortnite behind a screen, we're absolutely positive that kids will enjoy our Fortnite Party even more. Bubble Soccer is a classic novel activity that's suitable for boys, girls, and adults. Play Bubble Soccer at your local park or even an indoor venue. You may or may not recall these Bubble Balls as being a trend back in 2012. Either way, they’re rising in popularity once again. These innovative balls allow you to knock your friends over and provide great fun to both parents and children. The bouncy interior ensures a comfy landing, and having to play soccer during the commotion just adds to the hilarity. 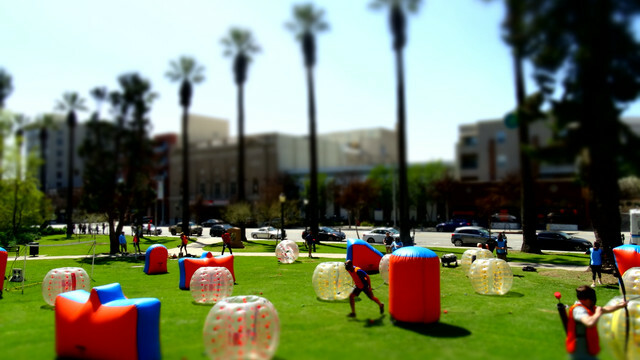 A Bubble Soccer Party in Los Angeles is the best way to play an extreme sport without any inherent dangers. 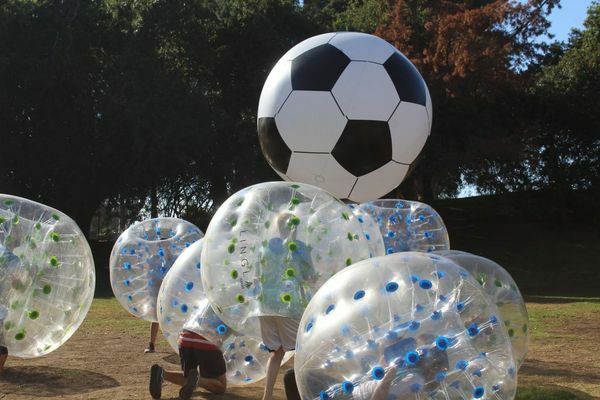 There are a wide variety of awesome Bubble Ball Rental services in Los Angeles, however we pride ourselves on being the best Bubble Soccer Rental in Los Angeles because of our various accommodations and great referee to esnure that your Bubble Soccer Party is a hit. 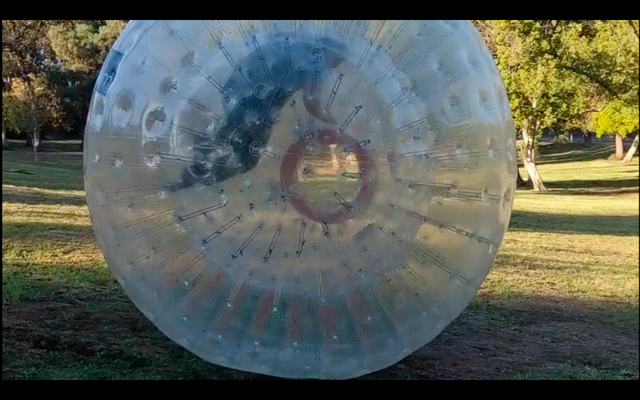 Take to the hills with an ultimate Human Hamster Ball Rental. If the kids like bubbles, then they’ll flip over this giant human hamster ball. Literally! Los Angeles Zorb rentals are unbelievably thrilling for such a low price, and you can do all kinds of things with them. What we recommend is entering a giant Zorb Ball when it’s at the top of a hill, and letting gravity take care of the rest, as you’re flung back and forth without any awareness of where you’re rolling. Zorbing is quite the experience if you’re one who enjoys going with the flow. Try out a Zorbing party; it’s fit for all ages! Have the family become huntsmen by renting Archery Tag Party supplies. With its multi-terrain compatibility, a Los Angeles Archery Tag Party can happen nearly anywhere. Be it the backyard, a flat pavement, or the nearby park. Note how we mentioned the family; not just kids parties! Loads of findings show that Archery Tag events are actually a lot more popular with teenagers and above. So don’t worry if your kid is above the age of 12, there’ll be plenty of fun opportunities for everyone during an archery party. 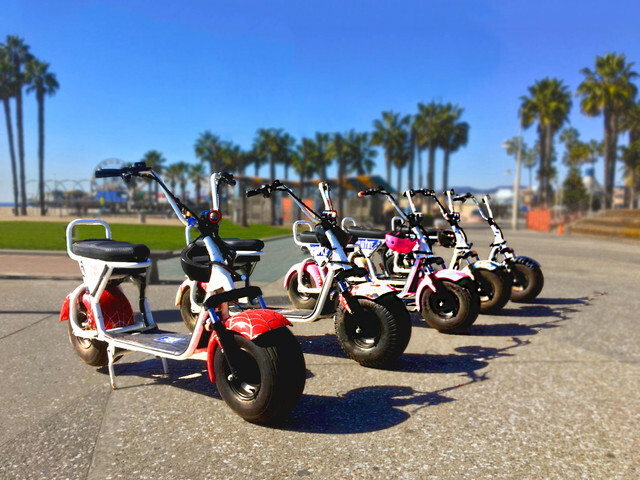 If you are really hooked on visiting the cool Los Angeles attractions we listed, and are thinking of seeing multiple at a time with your friends/family, there’s still a way to stylishly beat the crowds to your destination with a L.A Tours with Phat Scooters. Los Angeles agrees that the world needs to innovate ecological transport, and this is a great piece of the solution. These tasteful travel machines can be delivered straight to you so you can hit the road. And the best part is that they have seats! Phat Scooters are leagues above normal LA electric scooters with their higher speed threshold, actual seats, and cool unique designs that scream Los Angeles. All you need to do is just sit down, and roll out. With tons of options in L.A, it's all about finding the best options. For social functions, team building, and birthday parties, we've provided some unique electric activities that are fun in nature and sure to surprise your guests. If you're in the market for securing an exhilirating activity(s), just click the button below to get a free personalized quote.